2019 marks the 100-year anniversary of French automobile manufacturer Citroën. The daring brand will celebrate its centenary at the London Classic Car Show on 14-17 February with a showcase of vehicles that have made the boldest marks on the automotive industry since its launch in June 1919. 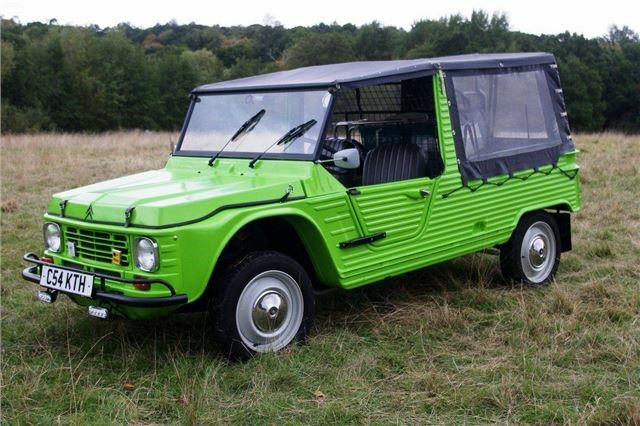 The first French production vehicle with a body created solely out of thermoformed plastic (acrylonitrile butadiene styrene), the Citroën Méhari debuted in 1968. As a result, the car wasn’t susceptible to scrapes, small blows or corrosion and was easy to maintain and entirely spray washable, including the interior! The 1985 example appearing at the London Classic Car Show was registered in the Netherlands, with its hatchback shape making it a popular model. Where is the Ami - considered by many to be the pinnacle of French styling? My dream Citroen garage - 15CV Rosalie, 7CV avant guerre, Traction 6H converted to 22CV spec with a Ford flathead V8, ID19, Ami Super (or M35? ), BX19GT (not GTi) , Low roof CX Prestige, Visa GTi, Twin engine 2CV, XM V6, C6 V6 Petrol. Do you need GAP insurance? Looking to save on insurance? We all worry about the rising cost of car insurance, but with a little help, you'll discover there are plenty of simple ways to make huge savings on your car insurance.